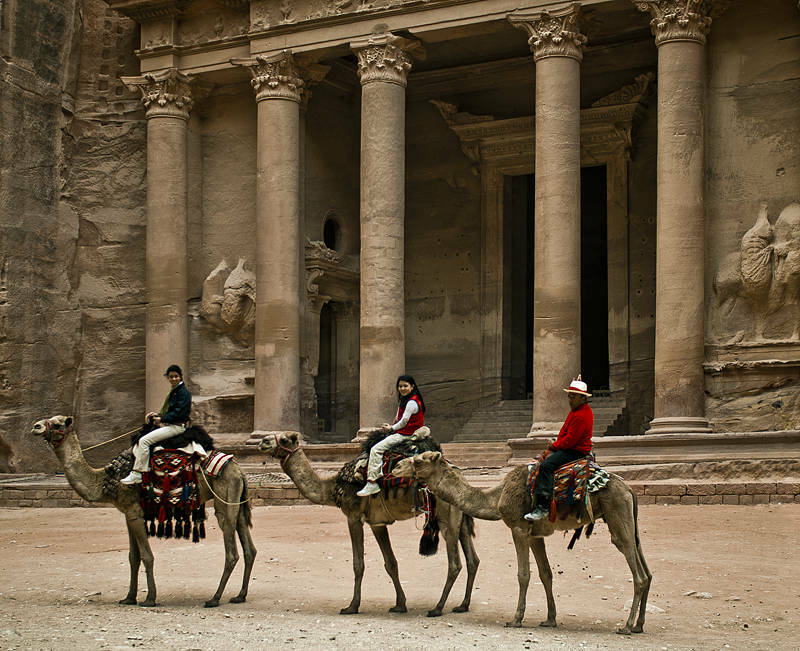 This is the Treasury in Petra, Jordan. It was made famous by Indiana Jones when Harrison Ford and Sean Connery “discovered it” while looking for the Holy Grail. It has of course been known to everyone in Jordan for thousands of years. Dedicated to Rowan who loved this place.